Gluten free slow cooker meatloaf is moist and tender, with a delicious crusty glaze. This is comfort food at its very finest! What is for dinner? It is a question that I’m always asking myself. And my 3-year-old is asking me too. Normally while pulling on my shirt and whining and asking for chocolate. Dinnertime is such an important family time, but it is something that I often struggle with. 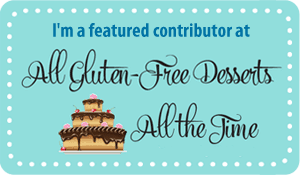 That is one of the reasons that I’m a gluten-free dinner fanatic. I know the importance of eating well as a family, despite how difficult it can sometimes be to pull it off. I am always striving to get better at getting a healthy dinner on the table. Even if it is gluten free macaroni and cheese. I created this recipe just with that in mind! I’ve discovered that one of the reasons that dinnertime is so difficult is that the kids are cranky, which makes me cranky. Then it takes about 500% longer than it should to make dinner because of the crying baby and whining 3-year-old pulling on my leg. Most of my time in the kitchen is spent fielding kiddos instead of actually making dinner! One solution is to prep dinner earlier in the day, so that when cranky-o’clock rolls around you can focus on your little ones. By cooking your gluten free meatloaf in the slow cooker you can prep it earlier in the day (like maybe during nap time?) when everybody is slightly less cranky. If you are running late and don’t have time for the slow cooker, that is ok too. Just toss it in the oven. This gluten free slow cooker meatloaf is really easy to mix together; the hardest thing to do is to dice the onion. I hate those onion tears! I already told you how easy this meatloaf is to make, but I haven’t mentioned how delicious is it! It is so savory, and just packed with flavor. Salt and pepper make the world go ‘round, people! A little steak sauce brings it to the next level. The flavors in the gluten free slow cooker meatloaf recipe are simple, but they really shine through. You can use homemade gluten free breadcrumbs or store-bought gluten free breadcrumbs. Either work. This is easily the best meatloaf that I’ve ever made! gluten free, sugar free, and fat free are misguided fads. I have a grandpa who died from issues secondary to what was most likely celiac disease. It was long before it was a commonly known disease, but it killed him. 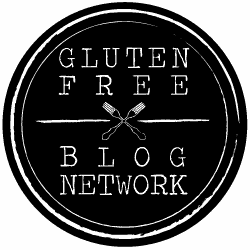 Gluten-free is not just a fad. odd question, could I use parchment paper instead of aluminum foil? Absolutely! I often use parchment instead of aluminum foil. The idea is just to make it easier to clean up, and to move the meatloaf out of the slow cooker. I think parchment would work just as well. Using aluminum foil to line my cookie sheets instead of parchment paper doesn’t work the same though. That is a sticky mess! Have you tried any milk/dairy alternative? We’re trying to avoid milk right now. The meatloaf I just made was not….very…good. Hi ! The recipe I used was not this one. It was another “easy” meatloaf recipe that was really basic with bread crumbs, an egg, onion, and milk, then it was topped with a mustard/ketch/brown sugar sauce. I sub’d the bread crumbs for gluten free and the milk for a sweetened almond milk because that’s what I had on hand. It just wasn’t as good as I hoped it would be so I was looking for another option and yours sounded flippin’ delicious (hardy har har). So I was going to give it whirl but was curious if you’d successfully found a milk substitute. Thanks for the info!